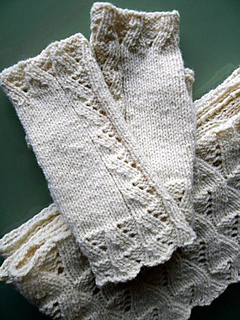 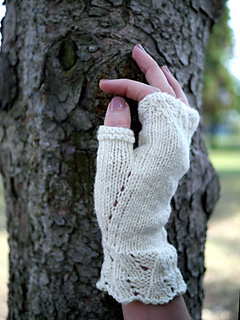 A warm, but pretty pair of fingerless mitts in two sizes (small/large) with a neat, openwork cuff and offset panel that make a feature of yarns with a soft halo. 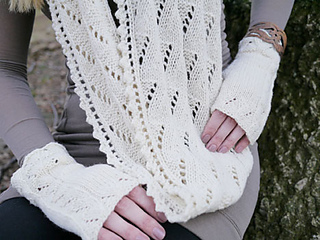 The motif is very easy to memorize and the pieces grow quickly, making this project a good choice for that last minute gift or for a beginning lace project. 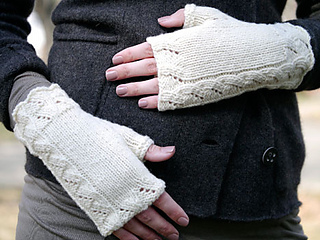 These mitts are designed to coordinate with the Billow Cloud cowl to complete a matching accessory set for the cooler seasons.